Nigerian singer and songwriter, Olubankole Wellington, has replied 'stalkers' who mocked him for driving an "old” Range Rover car. Nigerian singer and songwriter, Olubankole Wellington, has replied ‘stalkers’ who mocked him for driving an “old” Range Rover car. The video went viral and sparked off reactions from fans and social media users alike. In a recent Tweet, Banky W did an open letter to the ladies. “Last weekend, a very creepy video was posted online, by someone making fun of my car. I wrote her an open letter. You can read it on my blog: Pls share with everyone you know. I really want her to read it. LOL.,” he said. In the lengthy open letter, Banky W, took out time to explain why he decided to own just one car and why he lives a somewhat simple lifestyle. He also revealed in the letter that the car has been put up for sale to raise money for charity. “You see, I’ve never found it necessary to own more than one car. Mostly because I can only ever DRIVE one car at a time; and when I bought the car in 2011, I promised myself that I would never buy another car, until I owned the home I live in. To me, owning a nice car might help me LOOK like I was doing okay, but owning a nice home would help me KNOW. The way my mind is set up…what good is owning a Rolls Royce, if I’m still paying rent on the house I park it in?” he said. 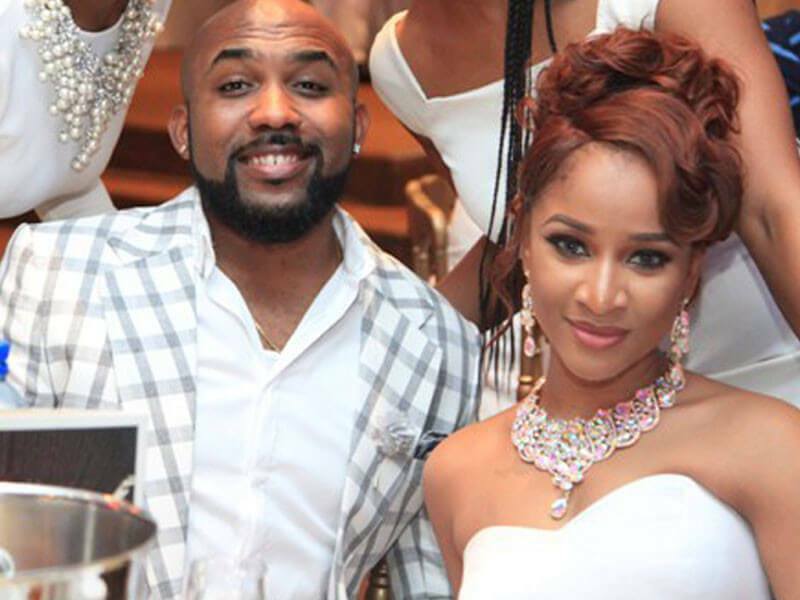 According to Banky W, priorities in life matter to him more than owning a fleet of luxury cars and he was very pleased to have a wife who shares his ideologies. The award-winning artiste also made it clear that he had ordered new cars and charged the stalkers to mind their business. “You might be happy to know that I’ve now FINALLY ordered a newer, nicer, personal car, and my wife has too. We paid for them a month ago, but we will probably never show them to you, because we don’t want you to stalk us again, but also because that’s not really any of your business – much like my old Range Rover wasn’t,” he added. The open letter however triggered reactions from his followers. “My dear Banky & Adesua, Thanks for your human concern to explain! With all respect to you and what you stand for…….don’t offer any explanations to those who live their lives in the eyes of others,” a Twitter user, @AdonijahBriggs1‏ replied Banky’s tweet. In response to the cringe worthy, creepy video you made about my wife and I, I think there are some things you need to know. First of all, poverty will never be my portion in Jesus name. Also, it is a 2008 Range Rover Sport not a 1999. Amen and Lol. Oh, and additionally, it’s currently for sale to the highest bidder. I had decided last month that I’d sell it, and whatever I got for it, I’d hand over to the “Vocational School for the Blind” in Oshodi and the “Pink Oak Cancer Trust Fund”. My Aunt volunteers at the school, and she reminded me that they were still trying to raise some money to care for their students, so I came up with a plan. I told her that I’d give my followers the background history of my old car, and get all my celebrity friends who’d sat in it at some point or another to autograph it, and then put it up for an online auction. I figured that since I didn’t need the money from the sale to buy a new one, we could just auction it off and hopefully raise a decent enough amount of money to give back to those in need.